Well, its over. 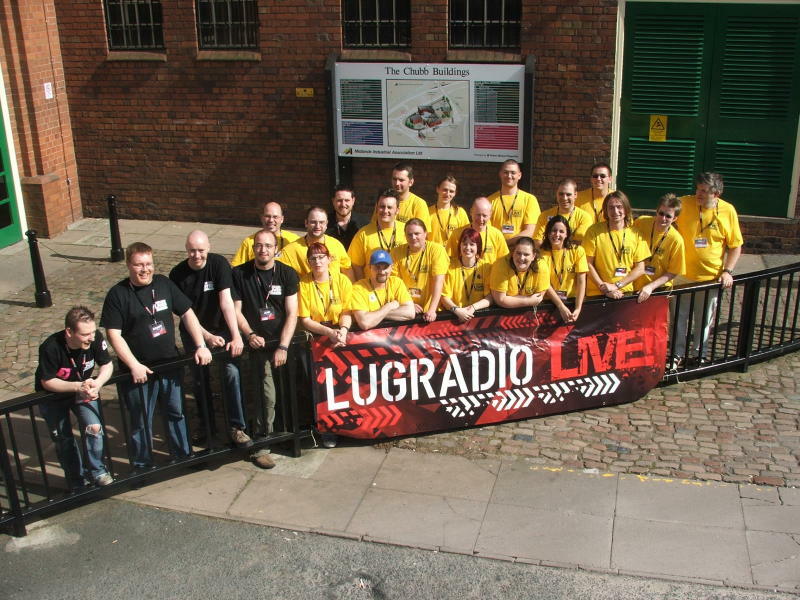 This weekend LUGRadio Live 2007 happened, and after 8 months of planning, over 20 crew, a stack of exhibitors and a bunch of speakers, everyone seemed to have a blast. There are a bunch of excellent write-ups of the event listed here, so you can get a flavour of what happened if you could not make it. The key to grading the success of LUGRadio is in defining a specific kind of atmosphere. Our aim is a very loose, social, friendly, amusing atmosphere, and we worked to have lots of little flourishes to try gain this atmosphere. It seems that things pretty much worked out and a number of people commented on how social and accessible the atmosphere was. We still have lots of room for improvement, but I am pleased people were getting the aim and intention of LRL. One of the upsides of developing an event like LRL is that it attracts a certain kind of personality, and as such you have a room full of similar personalities (read cool people) who are pretty cool. Also, sadly the LUGRadio Live And Unleashed show was Ade’s last ever LUGRadio. We are all saddened to see him leave, but he is exceptionally busy jet-setting around Europe as a VoIP expert and is looking to move on. Ade is an incredible guy, very genuine and one of the first things you notice when you meet him is how warm a personality he has. He brought an awful lot to the show with his experience, his dry humor and a viewpoint that balanced out the show. He will be missed hugely both as a presenter and as a friend who we had the privilege of being around every two weeks. Stepping into Ade’s seat is Chris Proctor, who’s nickname on the show is The Proctologist or The Lord Of The Rings. Chris comes from a technical background, has a dry sense of humour and was one of the co-leaders of the crew at LUGRadio Live 2007. With Adam and Chris newly wedged into the studio, you can be assured that Season 5 of LUGRadio will bring some fresh ideas and viewpoints. We have lots planned for Season 5, it really is gonna kick some arse and take some names. Expect some surprises. We should kick it off around September time. Any video from LRL this year?